In my last 7 years of traveling in Himalayas including all my Ladakh trip or Spiti Valley trip, I have followed one key principle of mine “Start Early & Sleep Early”. It has not only helped me have numerous memorable trips to these remotest of the places in trans-Himalayas including Ladakh and Spiti Valley but it has ensured I had safe and sound travel in all those years. Today I will like to share the reasons why I chose to start my day early and why I sleep early whenever I am traveling in Himalayas. I am sure as it has helped me, these reasons will surely going to compel you too to follow it and is going to surely help you all too. Here, I will share the five reasons I start early and sleep early in a day while on a Ladakh trip or Spiti valley trip. I hope it will help you guys too and make your trips as memorable as it has made for mine. The late you start in the day, the more delays you should expect. The workers on the roads comes for repair/construction works and then there are scheduled road closures. Sometimes blasting of bi rocks triggers more landslides and hence, further delays are added to overall days. Overall it affects the time of travel in the day. As the sun comes up, the snow melts fast. This results in more landslides or snow slides later in the day. Also, the water level in the nallas or water crossings become high causing issues especially to small cars. Sometimes the high water levels in the water crossings or a massive snow slide or landslide, forces you to halt your entire journey or trip at least for the day. Shooting stones are one of the most dangerous of all concerns you should have while you are on a Ladakh trip of a Spiti valley trip as they are totally unpredictable and hard to locate/spot. The small stones comes at a speed of bullet and crashes the windshields or side windows and sometimes triggers massive landslides too. Shooting stones are common as you travel to Spiti Valley from Kinnaur side and when you travel to Nubra Valley from Leh. The later in the day you start, as the wind picks up speed the shooting stones becomes more common. If you start early in the day, there is a high chance that you will reach with good amount of daylight left in the day despite facing any unexpected delays too. In case, there are major delays you still have contingency to reach your day’s place within safe time limits. The early you reach your destination of the day in Ladakh or Spiti, the more stay options you will have for you to explore and hence, better chance of getting a good, economic deal. The hotel/stay guys do consider the fact that even if you DO NOT get a place to stay in one town, you have to option to travel further or explore more for better deals. Hence, mostly they do lend scope of bargaining as compared to someone who reaches at the wee or odd late hours of a day. The best part of following the principle of “Start Early & Sleep Early”, you wake up early giving you chance to capture early morning shots and the photo shots on the road in early morning. And, when you reach your destination, you see best of the colors again in the evening. Most of us knows that, dusk and dawn are two most amazing time periods in a day to watch nature’s best colors painting themselves over vast landscapes of Ladakh or Spiti Valley or anywhere in the world. Hence, these are considered as the golden hours for the photography too. I hope the above reasons will compel you enough to follow my principle of “Start Early & Sleep Early” so as to enjoy your Ladakh trip or Spiti Valley trip at the fullest and watch some fabulous colors all around the trans-Himalayan range each day of your trip. Do you have any other reason to “Start Early & Sleep Early” or have you experienced the same reasons while following such a principle? I would love to listen to them and learn from your stories. Of course, speaking out will help you help other fell travellers too. 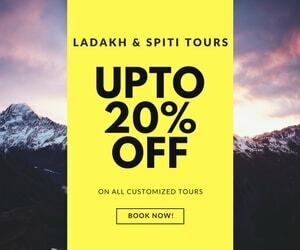 Feel free to share it with your friends too who are planning their next trip to Ladakh or Spiti Valley. 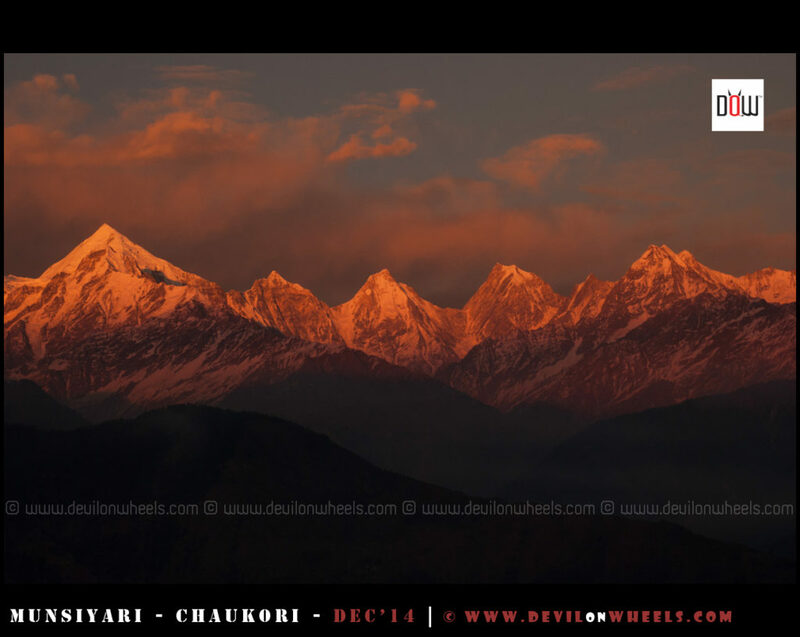 First of all, let me thank you for DoW …its an amazing place to all things connected to Ladakh travel. I am starting my first Ladakh trip next week. I have already planned one night each at Pangong and Tsomoriri, and plan to return to Leh via Tsokar. I have one more night at my disposal, and am wondering where to use that?…to add a second night at Pangong, or Tsomoriri Or to plan one night in Tsokar. Pls advise. Looking forward to a quick revert. You have always provided the valuable information. After reading your blogs last year i have visited Leh ladakh on a my personal car and your itinerary has helped me a lot. This year in 1st week of august i am planning to cover kaza, kunzum pass and chandratallake. I will start my trip on 31st July 2016 from Chandigarh and i want to travel via shimla as there will not be any problem of permits. 1.Kindly suggest the itinerary I want to go via shimla, narkanda,rampur, kalpa, tabo,kaza, kunzum pass ,chnadrataal and then back to chandigarh via manali. 3. Can i cover this with elite i20 /Scorpio.which one will be better??? You can check a very balanced and most common itinerary for Spiti Valley followed by many travellers including me at the link here for 10-11 days: Most Common Itinerary for Spiti Valley. For stay options in Kinnaur and Spiti, check the link: Some Good Options of Stays in Spiti Valley / Kinnaur Valley. You can keep an average of 900-1200 per person per day for food and stay on the tour to Spiti Valley. Better take Scorpio with you. In the group of 6 people we are planning to go leh ladakh.. but we are so confused about how to reach famous places of leh. Without wasting time by general transportation available there. Yes, you have to come back to Leh and then take buses to different places. There is no direct connectivity between places by public transport. How early is it practical and safe to start the next day of the trip when in Kargil and Leh? Really liked your post and got a lot of information. Appreciated. I am also planning to visit lahaul spiti valley from 25 th june by my own SUV. Could you plz suggest what things I need to care about. Also what are the road difficulty ? Will I be able to drive there? Coz I never been to that place. Though I am from himachal itself (dharamshala) and driving since 2012. But any advice is appreciated. 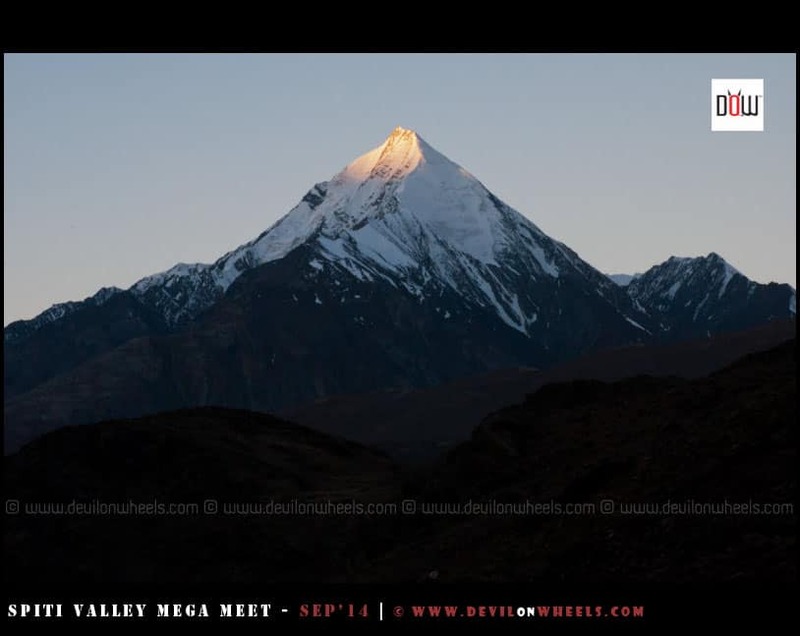 Rajesh, you should refer: 7 Useful Tips for a Self Drive to Leh – Ladakh or Spiti Valley. 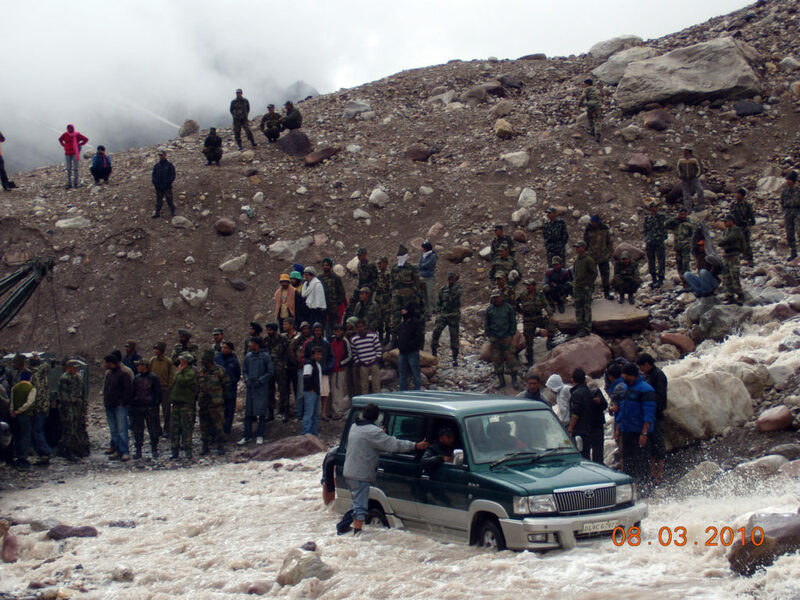 The road conditions are OK OK up to Spiti from Kinnaur but from Kaza to Manali, they will be much like driving on the river bed with stones and water crossings to negotiate. I m going for Leh Ladakh road trip nxt week…what will b d best option in footwears..As sports shoes will easily becum wet in water/waterfalls and doesn’t dry easily..don’t want to increase weight by taking 2/3 pairs..
Well, if you have or afford to buy a waterproof hiking pair of shoes nothing beats them. Else, if you will be on bike best is to carry fully covered floaters/sandals that protects your feet from all around. Am planning for a bike trip from Leh to nubra then nubra to pangong then pangong to tso Mori then tso Mori to chandratal and from there to Manali..
Can you help me by providing the routes which we need to choose and whether we need to take any permit for the trip..
Brijesh, it is not that easy as you have mentioned. All these rides and back breaking rides with only one petrol pump so fuel needs to be considered. Tso Moriri to Jispa and Jispa to Chandratal splitting needs to be done anyhow. So, one day is required for sure. Now, I am not sure if you ride for 6 Hrs, 11 Hrs, 12 Hrs, 12 Hrs, 9 Hrs, each of these 5 days, are you sure it will be worth the trip? I am planning gurgaon to leh on 15th june in my carolla Altis via srinagar and came back via manali. I am going alone. Need to know how will be weather at that time & kind of clothing I need to carry and what other things i have to taken care. Dheeraj, you should carry one heavy woollen jacket and rest light woollens shall be fine. The weather in general is OK during that time. 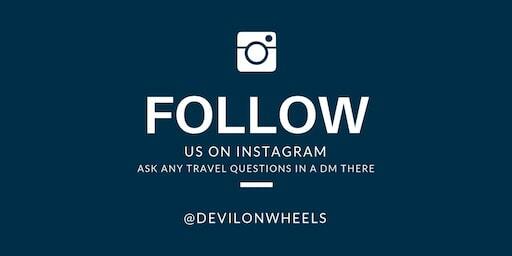 For hatchback/sedan taking on Manali – Leh Highway Or Spiti Valley via Manali Or Ladakh, please refer the link: FAQ | Can I do Leh – Ladakh / Spiti / Manali – Leh trip in Hatchback or Sedan? for more details. Can i have to take permit for Nubra, Pangong etc. or where i can get it. You do not need permit to visit Nubra Valley and Pangong tso. Hello Dheeraj, I’m reaching Leh on 31st May by flight. I’m planning to stay for one week. Need to know how will be weather at that time & kind of clothing I need to carry.I will be visiting siachen base camp( permission taken) & local sight seeing too. We are planning to take bike on rent from manali and visit spiti valley &chandratal lake. Also can lahaul be visited . We have 5 days to start and come back to manali. Can you help with the route to follow with maximum sightseeing. PS:-5 bikes and 10 people in all. Also if you can tell the danger involved. Also trip starts on 6th june from manali.